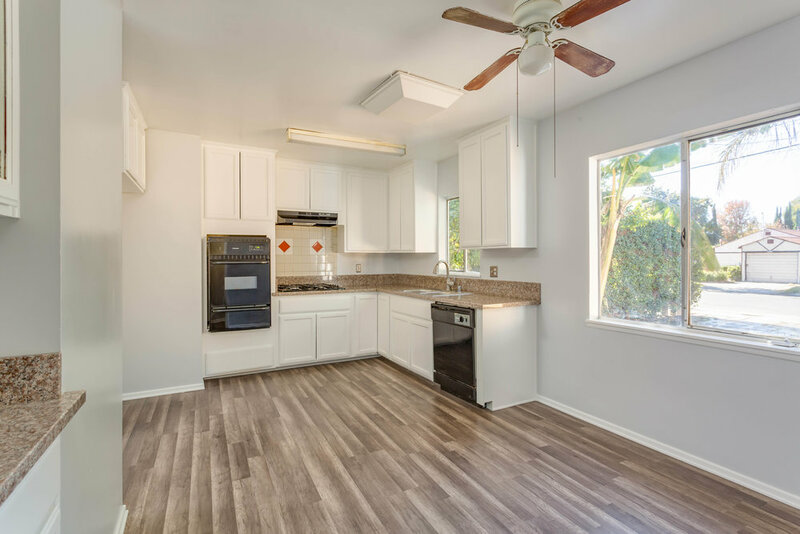 3 Bedrooms | 2 Baths | Approx. 1,829 sq. 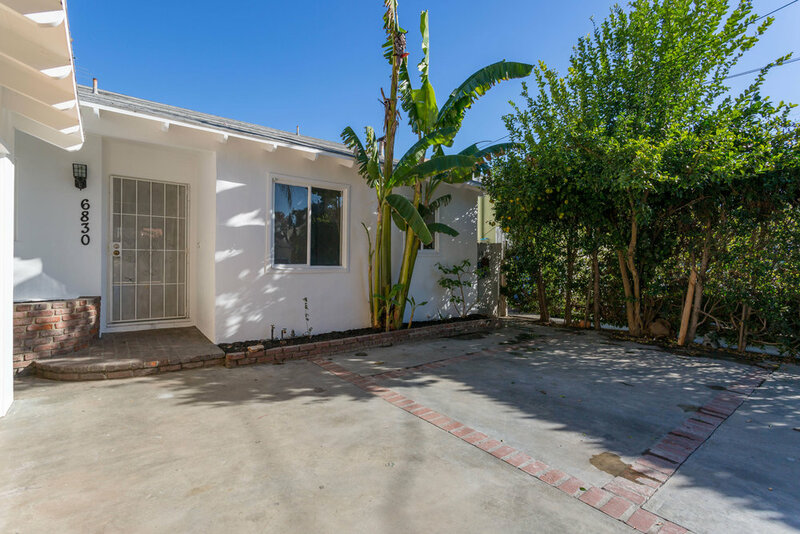 ft.
Charming three bedroom, two bath home in Van Nuys with beautiful built-ins. 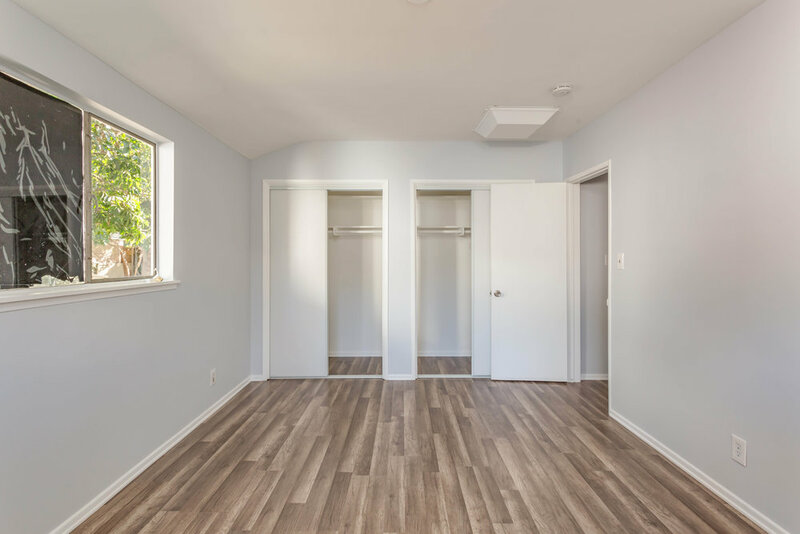 This 1,829 square foot house sits on a 5,831 square foot lot with recent upgrades and freshly painted interior and exterior walls. The one-of-a-kind entry way opens into a spacious living room with plenty of light. 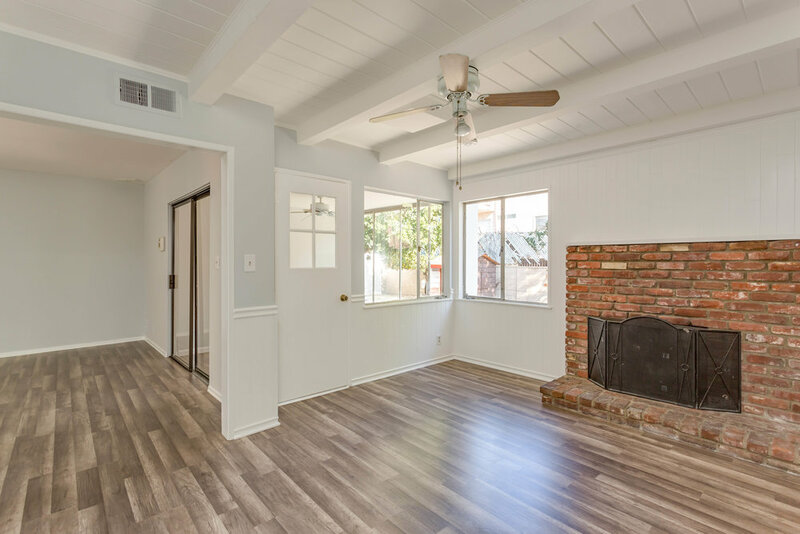 Extensions of the living room are a large dining space as well as a comfortable den complete with a brick fireplace. 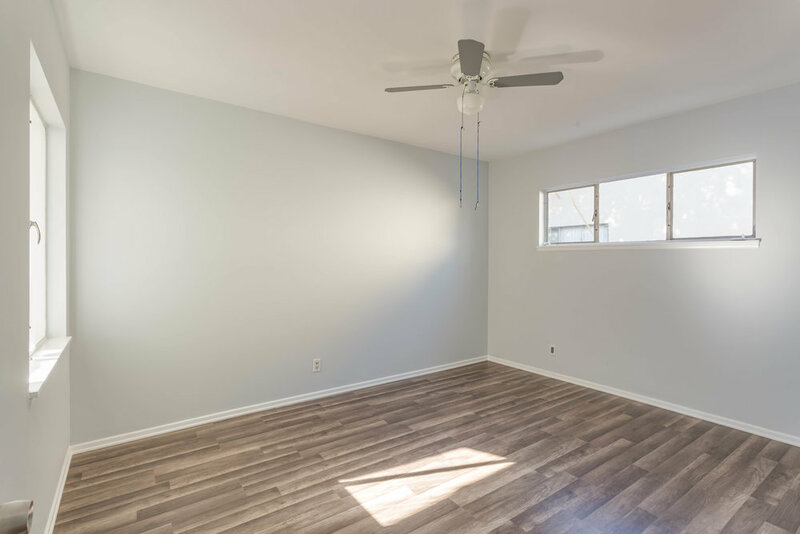 The gorgeous water resistant, high traffic laminate flooring throughout each of the rooms brightens up the space. 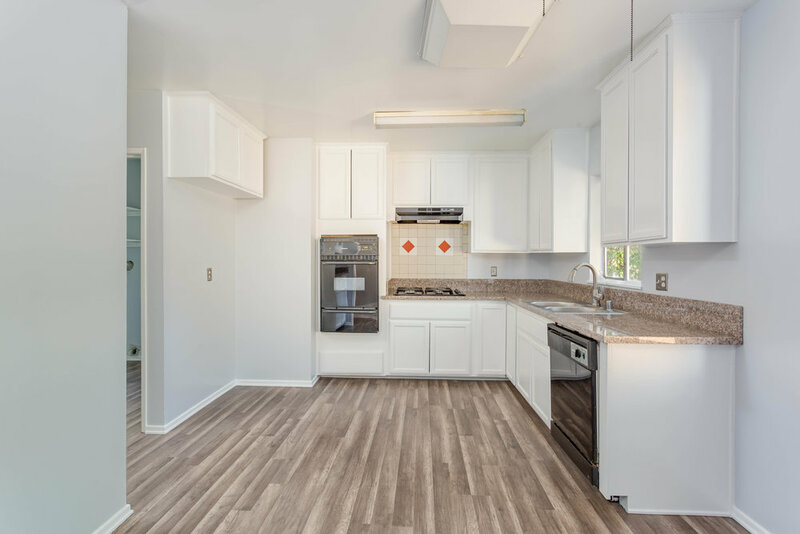 The kitchen has a generous amount of cabinet space as well as a large pantry for extra storage. Original appliances in the kitchen with the exception of the upgraded oven hood and faucet. The bathrooms have all tile features on the sinks and tubs. Large driveway with two-car garage as well as spacious back patio area. Beautiful large tree in the back area that provides ample shade and comfort.